Peter Soyer Beagle (born April 20, 1939) is an American novelist and screenwriter, especially fantasy fiction. His best-known work is The Last Unicorn (1968), a fantasy novel he wrote in his twenties, which Locus subscribers voted the number five "All-Time Best Fantasy Novel" in 1987. During the last twenty-five years he has won several literary awards, including a World Fantasy Award for Life Achievement in 2011. He was named Damon Knight Memorial Grand Master by SFWA in 2018. Beagle was born in Manhattan on April 20, 1939, the son of Rebecca Soyer and Simon Beagle. Three of his uncles were noted painters: Moses, Raphael, and Isaac Soyer. Beagle was raised in Bronx, New York, and graduated from the Bronx High School of Science in 1955. He garnered early recognition from The Scholastic Art & Writing Awards, winning a scholarship to University of Pittsburgh for a poem he submitted as a high school senior. He went on to graduate from the university with a degree in creative writing. Following a year overseas, Beagle held the graduate Stegner Fellowship in creative writing at Stanford University, where he overlapped with Ken Kesey, Gurney Norman, and Larry McMurtry. Beagle wrote his first novel, A Fine and Private Place, when he was only 19 years old, following it with a memoir, I See by My Outfit, in 1965. Today he is best known as the author of The Last Unicorn and A Fine and Private Place, as well as his later fantasies following The Folk of the Air. The Wind in the Willows, a classic of children's literature by Kenneth Grahame, had originally attracted him to the genre of fantasy. In the 1970s, Beagle turned to screenwriting. After writing an introduction for an American print edition of The Lord of the Rings, he wrote the screenplay for the 1978 Ralph Bakshi-animated version of The Lord of the Rings. Two decades later he wrote the teleplay for "Sarek", episode 71 of the television series Star Trek: The Next Generation. Beagle's work as a screenwriter interrupted his early career direction as a novelist, magazine nonfiction author, and short-story writer. But in the mid-'90s he returned to prose fiction of all lengths, and has produced new works at a steady pace since. With David Carlson as composer he adapted his story "Come, Lady Death" into the libretto for an opera, The Midnight Angel, which premiered at the Opera Theater of St. Louis in 1993. In 2005, Beagle published a coda to The Last Unicorn, a novelette entitled Two Hearts, and began work on a full-novel sequel. Two Hearts won the most prestigious annual awards, the Hugo Award for Best Novelette in 2006 and the parallel Nebula Award in 2007. It was also nominated as a short fiction finalist for the World Fantasy Award. Beagle also received a special Inkpot Award in 2006 for Outstanding Achievement in Science Fiction and Fantasy, and in 2007 the inaugural WSFA Small Press Award for "El Regalo", published in The Line Between (Tachyon Publications). IDW Publishing released a six-issue comic book adaptation of The Last Unicorn beginning in April 2010. The collected hardcover edition was released in January 2011, premiering at #2 on the New York Times Hardcover Graphic Novel bestseller list. It will be followed by an adaptation of A Fine and Private Place. Beagle's 2009 collection of short fiction, We Never Talk About My Brother, was nominated for a World Fantasy Award. In 2013, he collaborated with Phildel (a UK musician) on a new track "Dark Water Down", mixing poetry and music. They then appeared together at a gig at Cafe Du Nord in San Francisco, United States. 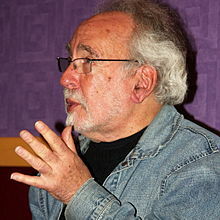 Peter S. Beagle's book The Last Unicorn was made into an animated film of the same name in 1982, based on a screenplay written by Beagle himself. In 1979, Beagle had a contract with ITC Entertainment, which entitled Beagle to 5% of the net profits in the animated property, and 5% of the gross revenues from any film-related merchandising. Since 1999 this film has been controlled by a British company, Granada Media International (a subsidiary of ITV plc). From 2003 through 2011, Beagle was involved in a financial dispute with Granada over nonpayment of contractually due profit and merchandising shares. On July 29, 2011, Beagle announced at his Otakon appearance that he and ITV had reached an agreement that was beneficial to all parties, and should please fans of The Last Unicorn. On October 14, 2011, at his New York Comic Con appearance, he announced the first results of the deal, including limited edition art prints of original concept paintings from the film, a nationwide digital screening tour with Peter doing audience Q&A, and a complete renovation of the original film for worldwide release in movie theaters in 2015. These five audiobooks are unabridged readings by Beagle, except the first which is abridged. Giant Bones is a collection of short fiction; the others are novels. The Last Unicorn (2005 CD & download), with original music by Jeff Slingluff. These are annual "best of the year" literary awards, with three exceptions (‡). 2006 Hugo Award, Novelette, "Two Hearts"
2007 Nebula Award, Novelette, "Two Hearts"
2007 WSFA Small Press Award (short fiction), "El Regalo"
2010 Locus Award, Novelette, "By Moonlight"
In 1987, Locus ranked The Last Unicorn number five among the 33 "All-Time Best Fantasy Novels", based on a poll of subscribers. The 1998 rendition of the poll considered many book series as single entries and ranked The Last Unicorn number 18. ^ "Peter S Beagle". Movies & TV (index). The New York Times. Retrieved 2012-01-19. ^ a b "Locus Poll Best All-time Novel Results: 1987, fantasy novels". Locus. Retrieved 2012-04-18. Originally published in the monthly Locus, August 1987. • See also "1987 Locus Poll Award". ISFDB. Retrieved 2012-04-25. ^ a b c d "Peter S. Beagle" Archived 2015-08-29 at the Wayback Machine. The Locus Index to SF Awards: Index of Literary Nominees. Locus Publications. Retrieved 2012-04-18. ^ a b "Beagle Named SFWA Grand Master". Locus Magazine. January 23, 2018. Retrieved January 23, 2018. ^ (untitled). (unofficially) Peter S Beagle: Biography. Peterbeagle.com. ^ Cristopher Hennessey-DeRose (2006-06-19). "Peter S. Beagle goes back to his fine and private place to continue the saga of The Last Unicorn". Science Fiction Weekly. Archived from the original on March 25, 2009. Retrieved 2014-03-25. ^ "Review/Opera; Death Visits a Dissonant Family In a New Work by David Carlson". The New York Times. 14 June 1993. Retrieved 1 November 2016. ^ "Wondercon Special Guests" Comic-Con magazine; Winter 2010; p. 18. ^ "Phildel featuring "Dark Water Down" poetry and music by Peter S. Beagle and Phildel and TBA". www.eventsfy.com. Retrieved 2013-12-07. ^ "Summerlong - Tachyon Publications". ^ a b "In Calabria - Tachyon Publications". ^ "The Overneath - Tachyon Publications". ^ "accessed November 11, 2016". ^ "Secret History of Fantasy, The - Tachyon Publications". ^ "The Urban Fantasy Anthology - Tachyon Publications". ^ "The New Voices of Fantasy - Tachyon Publications". ^ "jeff slingluff : line 6 - Google Search". www.google.com. ^ "Grand Prix de l'Imaginaire 2004" Archived 2011-08-08 at the Wayback Machine. GPI: Palmarès. nooSFere.org. Retrieved 2012-04-25. ^ The Locus Online website links multiple pages providing the results of several polls and a little other information. "The Locus Index to SF Awards: 1998 Locus All-Time Poll". Locus Publications. Archived from the original on 2004-01-13. Retrieved 2012-04-25. 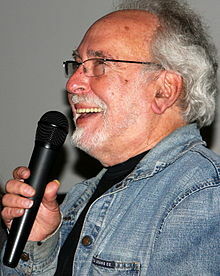 Wikimedia Commons has media related to Peter S. Beagle.